Well, most people don't really care about people who create websites, but obviously, you do, or else you wouldn't have clicked here. 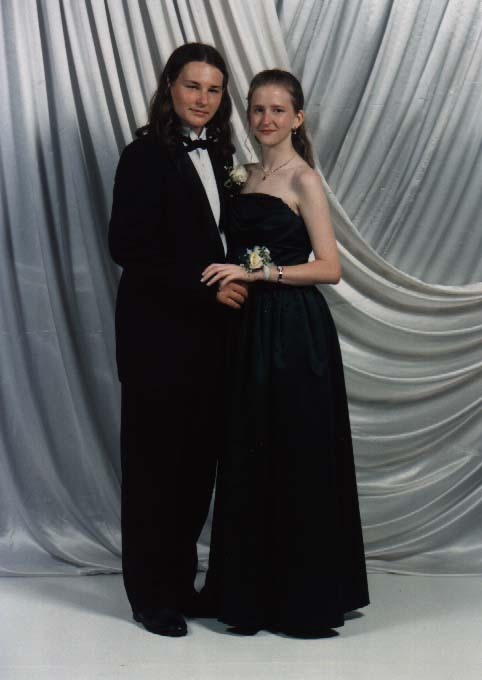 Here's a link to a pic of me from prom, with one of my exes. Here's the halloween pumpkin my roommates and I carved out last year. Hmm... if you look in the background, you can see the reflection of one of my roommates sitting at the computer taking the picture... 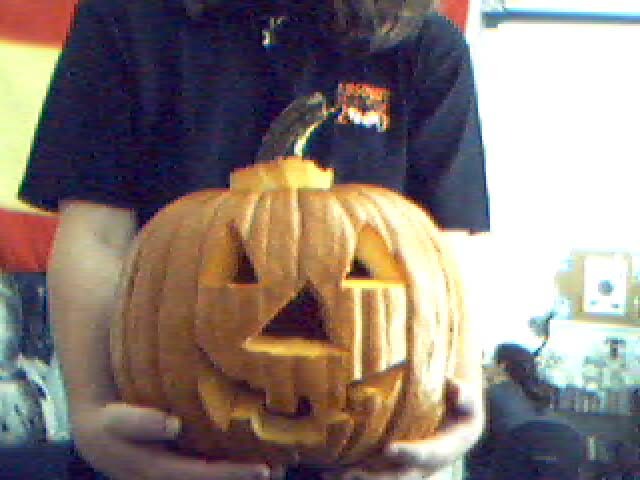 I'm the one holding the pumpkin. And here's a page with some morepics. This is me with my claymore that I bought a couple years ago. Here's another set of pictures of me without the sword. They're just as old though. And now for some recent pics. Yes, that's me with facial hair. This is from my vacation a few months ago to Portland, OR to see my sisters. If you want to see any other web page I've made, at the moment there's only one more. And that was a school project, so don't expect too much out of it. You can find that here. But, as I said, don't expect too much out of it. At the moment, my next web project will be to put up a comic strip online, called Stickman Limited, a strip dedicated to the adventures of certain stickmen, and their misfortunes. All in all, it's funny and the stickmen get hurt a lot. My life, at the moment, is not centered around the web right now, though. So I don't know how long this project will take. Right now I am a full-time student at the University of Central Florida. I am a music major. I have a total of five instruments in my bedroom. Six, if you count voice as an instrument. And yes, I do lock my doors. Right now, my main instruments are violin and voice, but I also have a keyboard, a guitar, a tenor recorder, and a lute. For those of you who don't know what a lute is, it's one of those bulbous old-fashioned guitarlike instruments that minstrels used in the middle ages. I managed to get pictures of my lute, and I'll have pictures of the rest of my instruments up soon. But right now, I the only scanner nearby is the one on my roommate's computer, so I can't guarantee anything. According to TheSpark.com, I am a 'Mentor'... whatever the hell that means. And now I have a new place to put all of these useless quizzes. http://darktirade.easyjournal.com. I'm only really posting this link here now because some rather momentous things have happened lately, and I don't feel like putting a running update both here AND there.